The model and tools featured in this course are based on the 3rd edition of the JHNEBP Model and Guidelines Book released in 2017. Learn how 6 nurses used the Johns Hopkins Nursing EBP model to positively impact patient care in this video series. 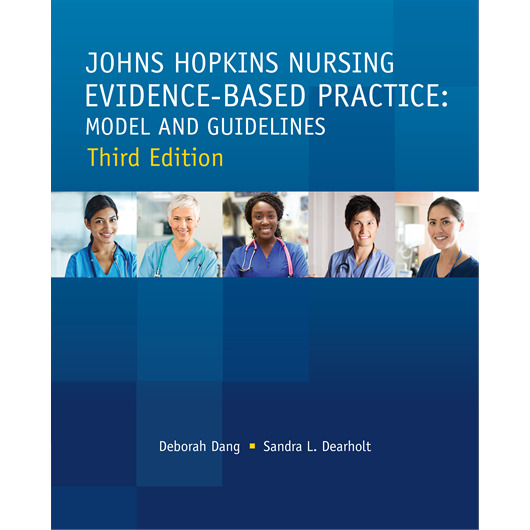 On October 20, 2017 the third edition of Johns Hopkins Nursing Evidence-Based Practice: Model and Guidelines book was published. This fully revised third edition builds on the strength of the first two editions with updated content based on more than a decade of the model’s use and refinement in real-life settings. With the revision of the book, the conceptual model and tools were also updated. Existing tools were modified and 3 new tools were added which address: analysis of the stakeholders, implementing and tracking the action plan and the active dissemination of the EBP findings. 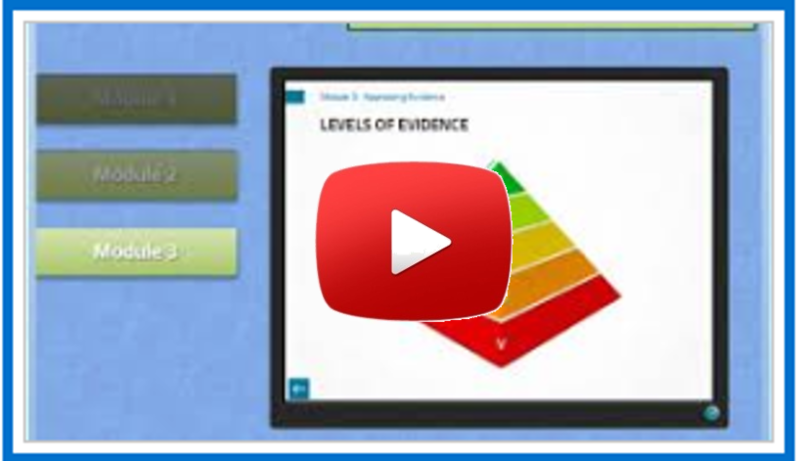 These changes were designed to help make the EBP process easier for practicing nurses. ​Statement of Contact Hours: This 5.0 contact hour educational activity is provided by The Institute for Johns Hopkins Nursing. The 5.0 contact hours will be awarded after the completion of all 5 course modules and the submission of the final course evaluation. All intellectual property and copyright in this Johns Hopkins Nursing Evidence-Based Practice program and its accompanying materials and derivatives is held solely by IJHN. These materials may not be modified, redistributed or reproduced in any form or by any means, electronic or mechanical, including photocopying, recording, or by any information storage and retrieval system without PRIOR authorization from IJHN.